The trouble usually doesn’t travel alone. It comes in pairs. After the story of Nokia 7 plus user data leaks came another one but with Nokia 2 as the main protagonist. But the bad PR isn’t stopping there. A new unfortunate story that involves a Nokia phone is coming from Finland. 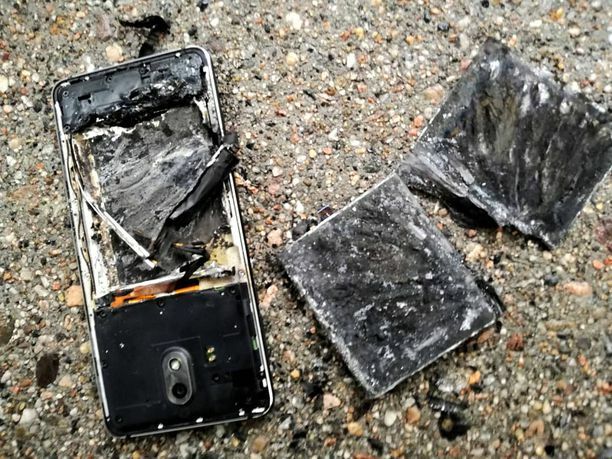 Apparently, two months old Nokia 3.1 exploded in the hand of a woman from Finland. After the phone’s screen went dark, the battery exploded which caused just a minor burn to the woman’s finger, but resulted in frustration of the user. She even tried to take the battery out, but since it is unremovable after a while sparks started coming out of the phone and it exploded. The problem was probably in the faulty battery, but luckily this was Nokia and not a Samsung phone which would probably burn the whole house down :). Anyway, the phone was returned to the store, and they said it will be sent to the manufacturer to see what went south there. The Finnish newspapers Iltalehti, which pushed the story in the first place, asked HMD for a comment, but the Finnish company still didn’t answer back. Hopefully, HMD will check the device and get back to the owner. This kind of things happen with mass-produced products, but it is never easy when this kind of accident happens. Luckily, it all went with a small burn and one bad memory. Weekend read: Did hostile environment kill Nokia (the phone maker)?